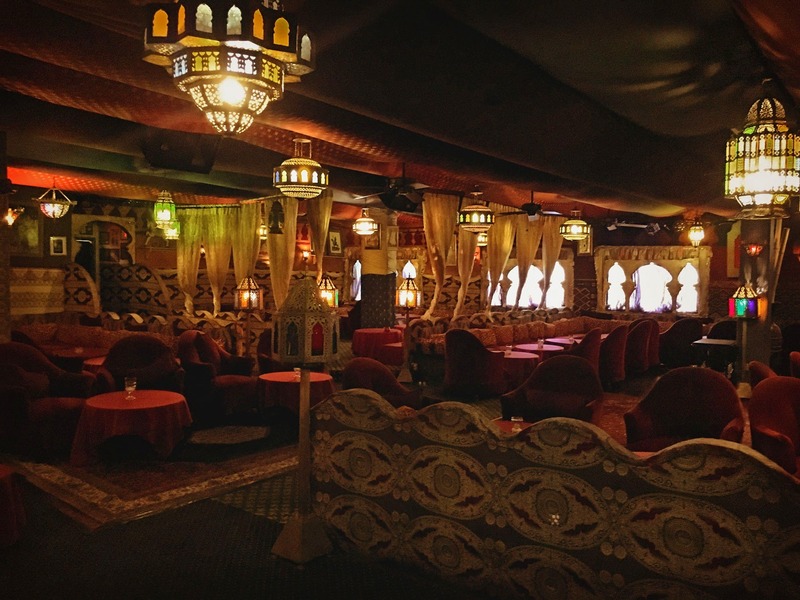 The Imperial Fez Restaurant offers a unique dining experience centered around the traditional flavorful foods of North Africa – along with nightly exotic entertainment – It’s more than just a night out, it’s Event Dining at its finest! Enjoy an incredible and unforgettable journey – a culinary experience, with exotic drinks. Sit back, relax and enjoy freshly-prepared, delicious Mediterranean tapas while you lounge comfortably in eclectic Moroccan style. Each and every night, a belly dancer or a dance troupe infuses extra energy into your dinner beginning at 8:30 pm on the weekdays and 6:30 on saturday. 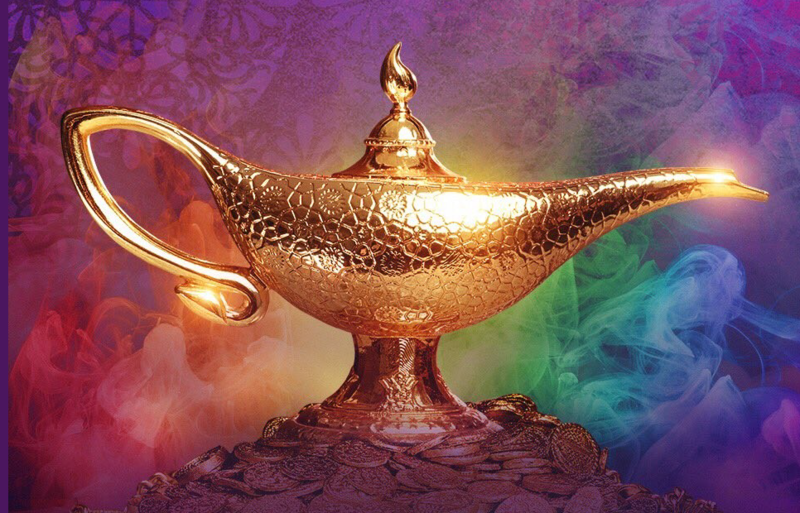 We invite you to enjoy authentic Middle Eastern shows, belly dancing, and the occasional theatrical performance. We’ll be happy to provide the little extras that will make your special occasion more special and unique. Flowers, Champagne, Homemade Cakes for your Birthday, Anniversary, Bachelorette Party. Inquire about VIP Table reservations. The Imperial Fez Restaurant offers a “Unique Dining Experience” with the traditional (flavorful) foods of North Africa and “Exotic Entertainment”. It’s not just dinner, it’s “Event Dining” at it’s finest! 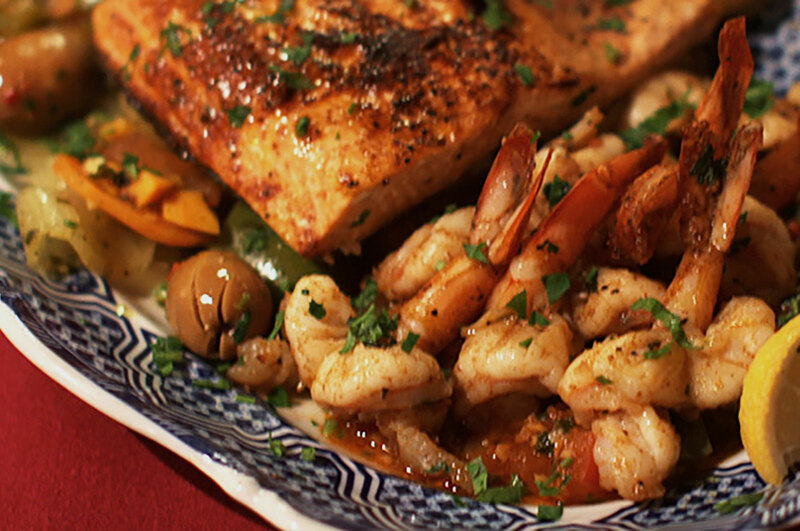 The menu at Imperial Fez Restaurant features traditional food from North Africa. Every plate served is a reflection of North African cuisine at its finest, handcrafted with the freshest produce, finest meats, and the best herbs and spices available. 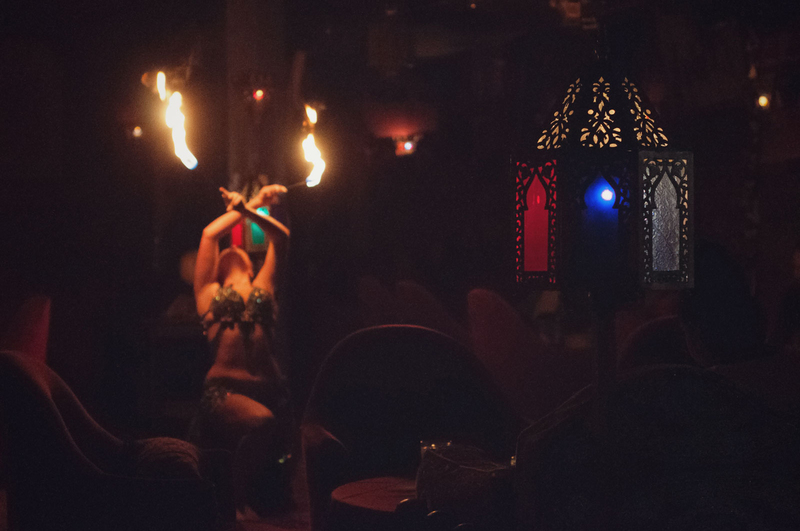 Each and every night, a belly dancer or a dance troupe interjects some extra energy into your dinner at Imperial Fez, beginning at 7:30 pm. We invite you to enjoy authentic Middle Eastern shows, belly dancing and theatrical performances. 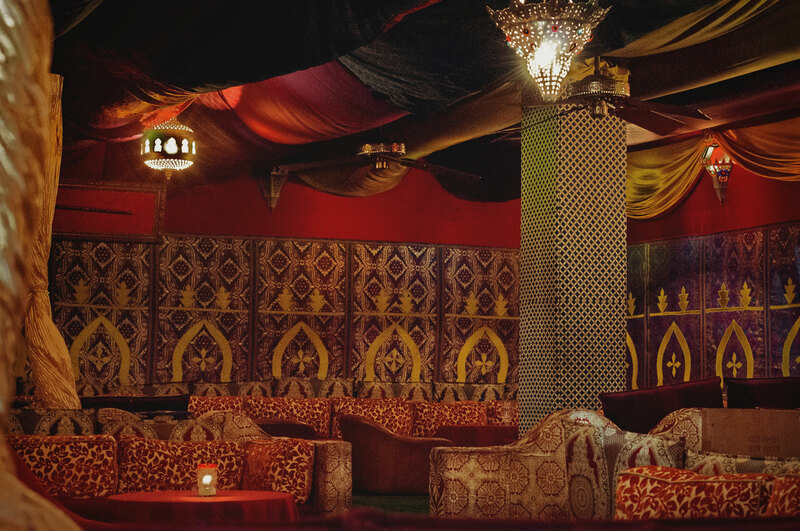 For groups up to 250, Imperial Fez can provide our Special Event Package, which includes VIP Seating, Private Belly Dancing Show, Cake, Flowers for the guest of honor and a Bottle of Champagne! Also, we invite you to select your entree’s, in advance of your event, from our menu. Celebrated our 39th Anniversary here. Variety of entrées to chose from and we went with the lamb shank and mixed seafood. The herbs used in preparation of the foods are varied and result in a pleasurable meal. One of the best we have had in some time. We could not eat it all. I don't think anyone could, as we saw many take home boxes. An added feature the belly dancer came our way several times. One of her dances was with a fiery sword. The Chef came to our table and discussed the food and its preparation. He also bid us farewell and once again wished us a happy anniversary. Great night! I had the opportunity to eat at the Imperial Fez for my birthday. It did not disappoint! It was recommended from a friend and I made it the only MUST do on my trip to Atlanta.HUGE PORTIONS. All of the food was very well seasoned and my leftovers tasted even better the next day. The belly dancers were very talented and were excited about entertaining. Be sure to bring cash for tipping them. The staff was super friendly and accommodating. The Happy Juice did the trick and had everyone in my party HAPPY! They sang happy birthday at the end of the night. There was a lot of birthday celebrations that night and I will never sing the birthday song the same! "Happy Birth-Day To YOOOUUU." I had the opportunity to eat at the Imperial Fez for my birthday. It did not disappoint! It was recommended from a friend and I made it the only MUST do on my trip to Atlanta.HUGE PORTIONS. All of the food was very well seasoned and my leftovers tasted even better the next day. The belly dancers were very talented and were excited about entertaining. Be sure to bring cash for tipping them. The staff was super friendly and accommodating. The Happy Juice did the trick and had everyone in my party HAPPY! They sang happy birthday at the end of the night. There was a lot of birthday celebrations that night and I will never sing the birthday song the same! "Happy Birth-Day To YOOOUUU." Wanted food we couldn't get at home and we got it. Went for the couscous with lamb. The whole experience was lovely. Later in the evening was the fabulous belly dancer. The view was amazing!! Everything on their menu was delicious !!! Highly skilled belly dancers, also a great place to take friends and family!! My first experience in Moroccan dining. Absolutely delicious!. Wonderfully fresh herbs and spices excite the tastebuds. Gracious , attentive and patient service. Delightful and energetic bellydancing. Note: for groups of 15 and more, we recommend that you call us at (404) 351-0870 to make a reservation. Give the gift of an evening out at Imperial Fez. You can order instant, online gift certificates easily here!